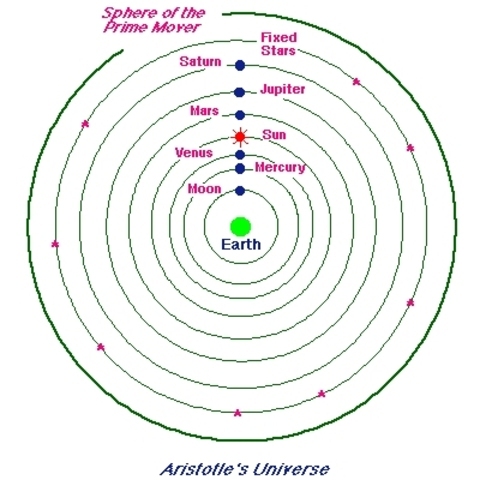 Aristotle the philosopher, designed his model from reasoning ideas, like that the earth was spherical (calculated by Pythagoras), that the earth was at the centre of the universe, and that the sun, moon, and planets all revolved around the earth. 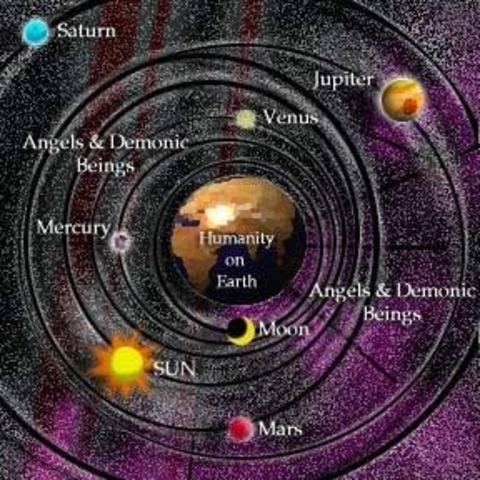 Believing these things, he created a geocentric model. His model consisted of an earth centre, with 55 concentric spheres rotating around the earth, demonstrating the movements of the planets and stars. 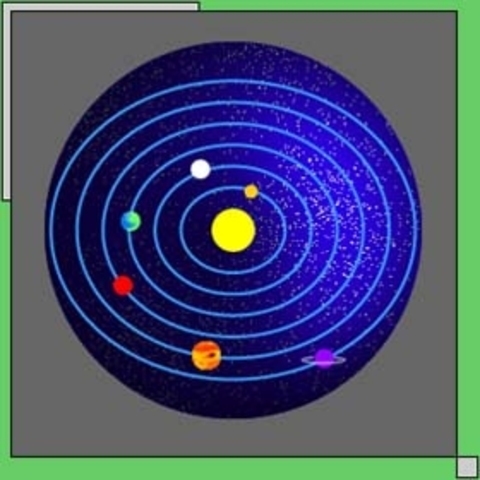 Aristarcus suggested that because the sun is much bigger than the earth, it is the centre of the universe. 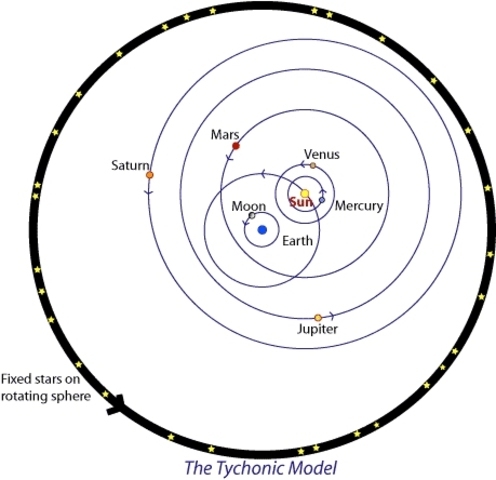 So by the heliocentric model, he proceeded to his theory of the motions of the stars and the sun, and that the earth rotates on its axis once a day. His model was not favoured because it wasn’t detailed enough to make predictions from, although it is known today, that he was surprisingly close to the truth. Improved Aristotles model, making it more elaborate by putting circles within circles. 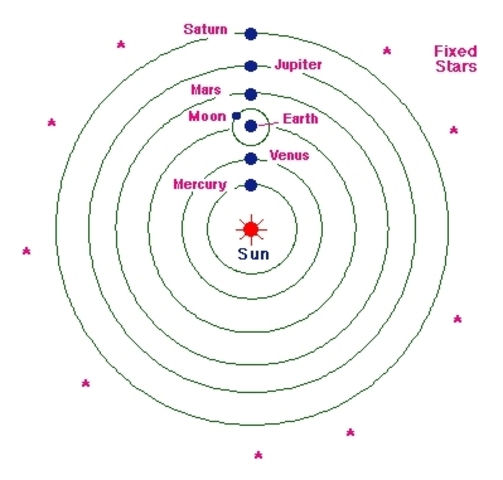 Although geocentric, the predictions that could be made from it were quite accurate. His model lasted the longest of any, because he had the support of the church. 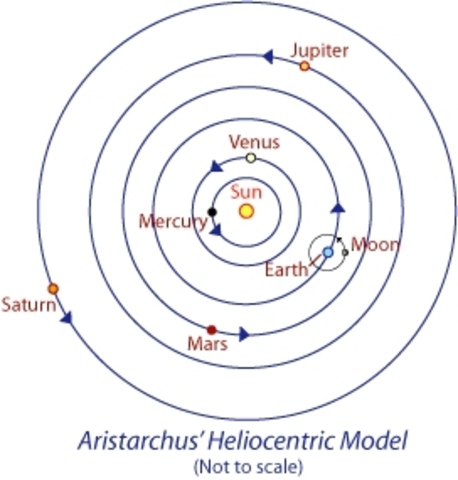 Copernicus suggested that, similar to Aristarchus, the sun was stationary at the centre of the universe and that all other bodies revolved around it in circular paths. Brahe plotted all his observations of the heavens using instruments of his own design. He was extremely thorough, so the predictions he made were much more accurate than many other methods. His model of the universe was both helio, and geo centric, with the planets revolving around the sun, and the sun revolving around the earth. IN his studies of the heavens, he witnessed and record two supanovae, which opposed ptolemy’s idea that the stars were unchanging. Kepler was a mathematician who had his own views of the universe- that planetary orbits were based on geometric shapes. Kepler was able to used brahe’s records for his own research from which he finally developed his own heliocentric model. He said that the planets movements around the sun were elliptical though. He also believed that the closer the planets were to the sun, the faster they orbited. Using a model of this, he was able to predict motions of the universe fairly accurately. 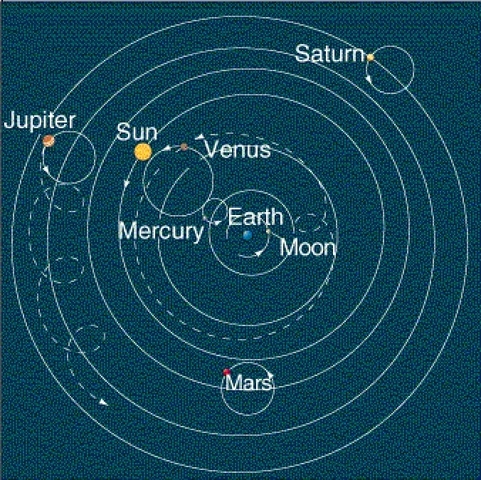 He believed Copernicus’ model, that earth and the other planets revolve around the sun and that the other planets might be inhabited as well. Galilei was able to make many observations not yet made, because of the invention of the telescope. Galilei made his own telescopes through which he proved the geocentric model to be incorrect.